The day has FINALLY come! 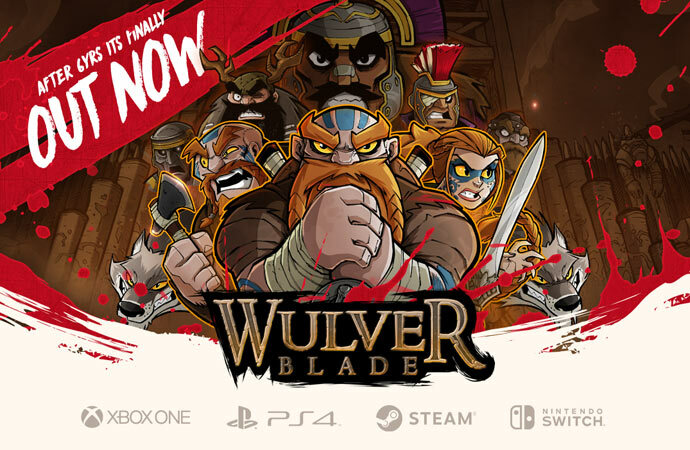 Wulverblade will be available on all major systems as of today! Wahooooo! The Xbox version is due to launch in differing timezones today but should landing around 2pm UK time. So by this evening you can play it on any system you desire! We can barely believe it! 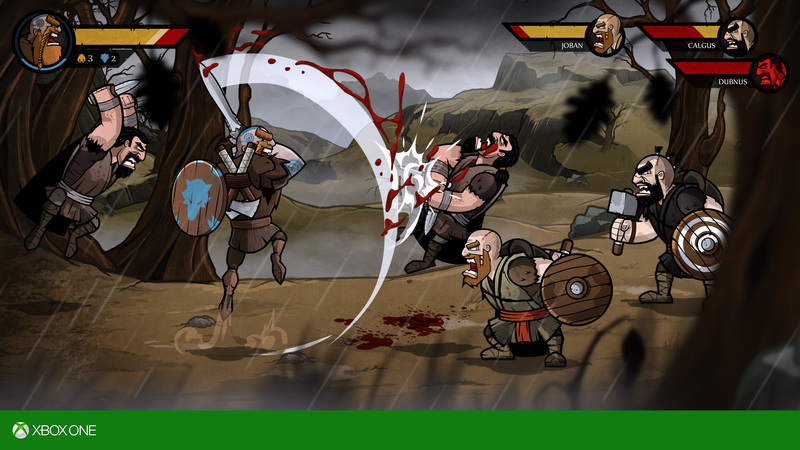 The Wulverblade E3 2015 Trailer is Live! Well as you all well know by the lack of updates on here, we’ve been rather busy. 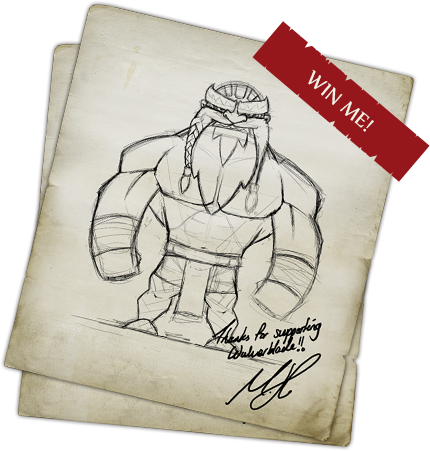 The game is coming along oh so well and its now time to show you what we’ve been up to! The new trailer was held back for Microsoft to use at E3 and as that press conference has now happened, we can show it to the world, yey! The trailer also touches on some more of the combat and also gives you a glimpse of some of the other levels. All likes, tweets, comments and shares are HUUUUUUUUUUUUUGELY APPRECIATED. We don’t have any form of PR budget as we are all utterly broke, so everyone’s kindness in sharing this means the world to us. Thanks everyone, feel free to post questions and we’ll be sure to answer them! 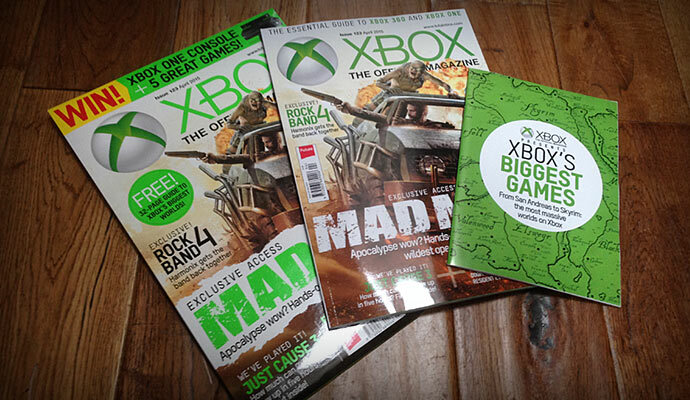 Wulverblades First Preview in Official Xbox Magazine! Hey everyone, Mike here again…finally. Wow, we’ve been WAY too quiet on here! October was our last post, ouch. Needless to say, we’ve all been cranking away getting this game made and loving every last second. We’re cramming loads into this special game and we promise that its going to be worth the wait. So, lots has been going on, but for now, lets focus on this preview! Thanks for the mention Total Xbox! 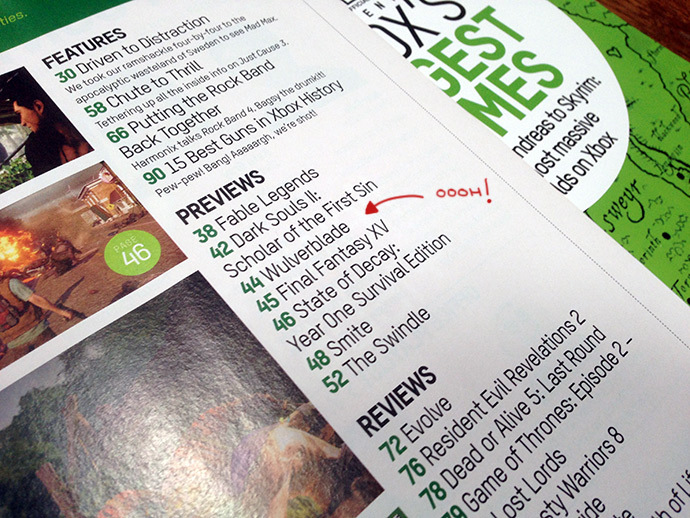 …and we got listed number 5, awesome! Wow, what an absolutely INCREDIBLE weekend! Play Expo was an absolute BLAST! 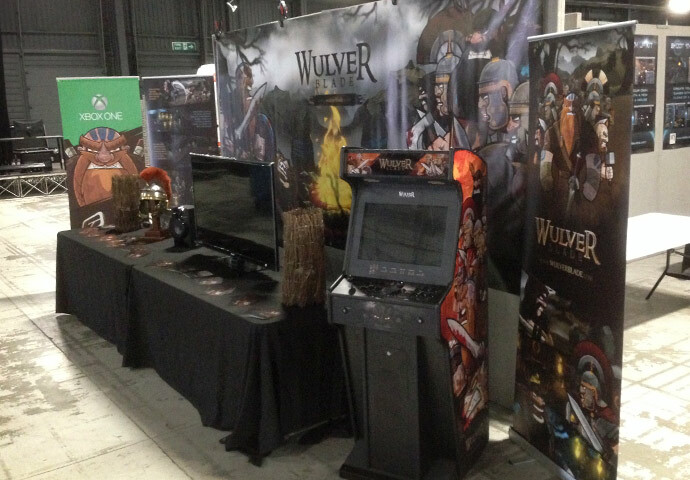 Over 20,000 people turned up to the event and it was absolute madness all weekend, the Wulverblade stand was in a constant state of play the entire time. It was suuuuuuuuuperb! 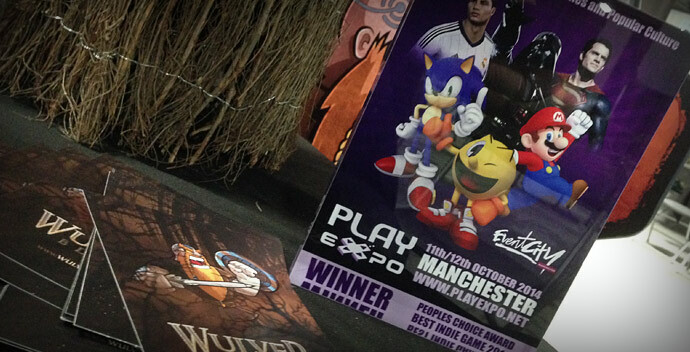 And to top it all off Wulverblade managed to win the ‘Peoples Choice Award – Best Indie Game 2014’! I’ll go into more detail below with a blow by blow account :) Needless to say, we’re all buzzing! So, set up day was as stressful as you’d expect, packing everything into my Landrover makes the last wave of Tetris seem easy! 1 arcade cab, 50″ screen, 2 PC’s, lighting, 15ft banner, 3 roller banners, roman helmet, props, table covers, flyers and me! Once there it was time to get the stand built up. There was a bit of a hiccup with the stand at first, but once that was ironed out with the organisers it was time to build! 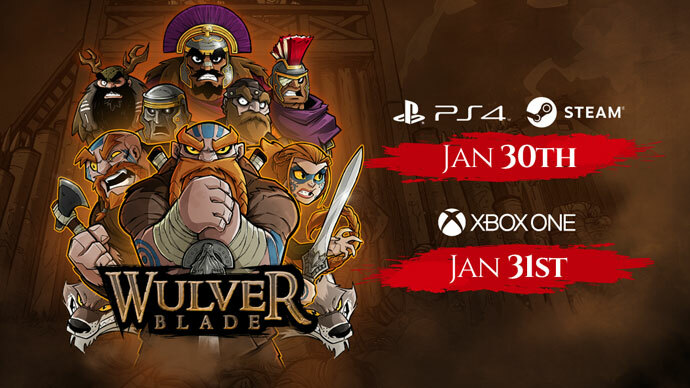 Wulverblade coming to Xbox One! 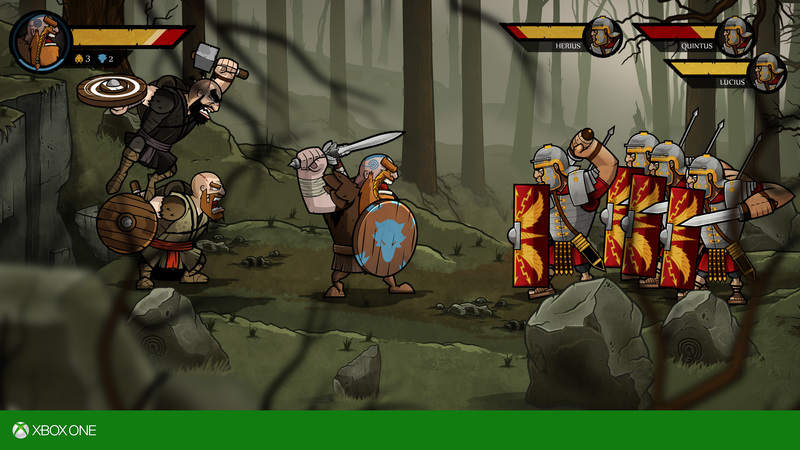 Wulverblade is coming to Xbox One and is playable at GDC! Yep, you heard that right, my life long dream game is getting a life long dream format, a leading games console, WAHOOOOOOOOOOOOOO! We’ve known about this for a little while, so you can imagine our uncontrollable excitement about wanting to tell the world. And now, as of today, Microsoft have officially announced it, we are SOOOOO excited. So, so, excited. Play it this week at GDC! 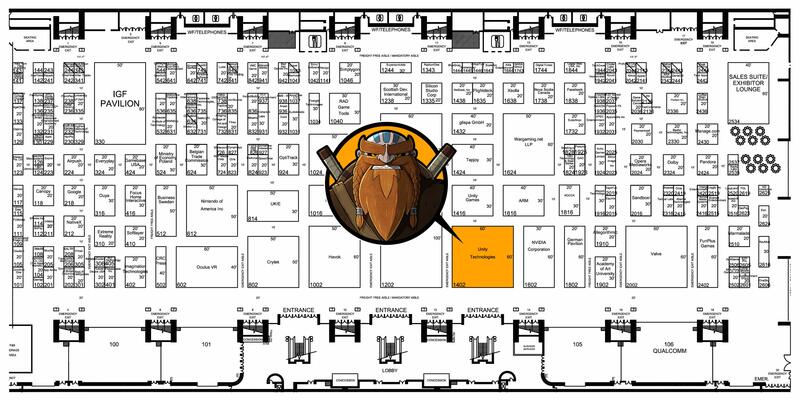 The best bit is, if you happen to be at GDC, head over to the Unity booth (South Hall Expo – Booth 1402) where you can not only see Wulverblade in action, but you can get to play it on the Xbox One, right there! It is in a very early pre Alpha state, but you’ll get a good feel for the basics of the game. Brian and Colin are there too, so hit them up if you wanna chat about the game at any point. If you get a chance to swing by, please drop up us a comment as we’d love to hear your thoughts! And a BIG THANKS to the guys at Unity for the showcase, you guys rock! Now, some of you may already know that I (Mike) got struck down with appendicitis last week and after a couple of operations am now recovering for a couple of weeks, so that’s stopped me both being there and getting the in-game trailer complete. ULTRA GUTTED! But, I’m going to show off two screenshots from the game here which will hopefully wet your appetite for the trailer. Once I’m back on my feet I’ll have it ready ASAP.